This album was added to our database on January 18, 2008, and the album's information was last updated 11 years ago. Munkee is responsible for keeping this album's information up to date. This page has been viewed 1475 time(s). 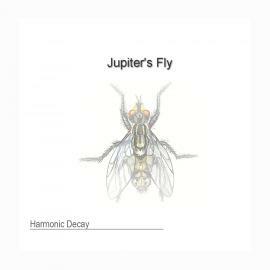 Play all the songs on "Jupiter's Fly"
All music is composed and performed by Geoff McLellan. All lyrics are written and performed by Johnna Strange. Mastering: Keith Woodell for "A living dream" and "Gypsies"
© copyright 1993-2007 by fearstudios.com ( 186313775+140ms ). All Rights Reserved. Report a bug or make a suggestion.